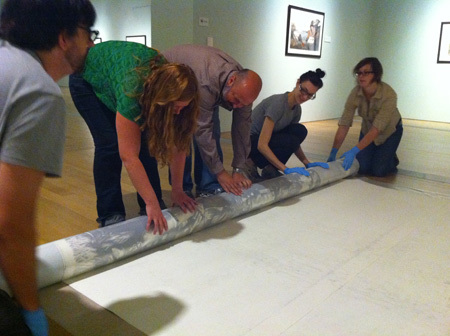 How do you remove a thirty foot by nine foot drawing from the wall? Very carefully. 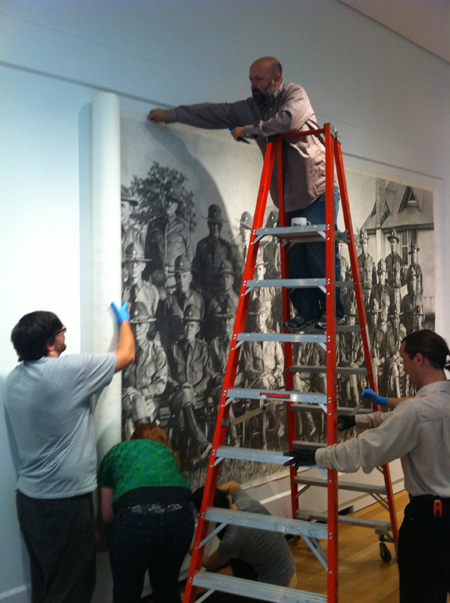 On Monday, August 8, art handlers from The Grand Rapids Art Museum worked with artist Chris LaPorte to de-install Cavalry, American Officers, 1921. Chris’ massive drawing was displayed at GRAM during ArtPrize 2010, where it took the top prize. ArtPrize now owns the piece, but GRAM graciously offered to keep in on public display until now. Cavalry‘s next destination is the ArtPrize 2011 Hub, located at 41 Sheldon SE. The piece will be on display in the public lounge (more details to come shortly). 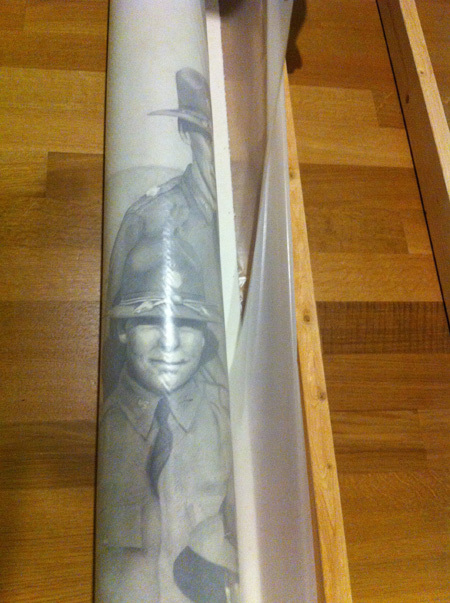 The drawing is unrolled face down on a sheet of archival glassine. 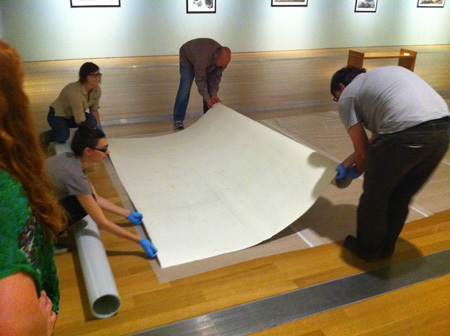 The drawing and the glassine are rolled around an 8 inch diameter archival cardboard tube. The drawing is wrapped in Tyvek. 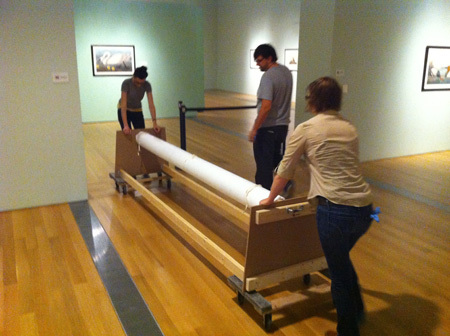 A board is inserted into the tube and screwed into the crate. It’s off to the Hub!